Drug addiction has long been a societal problem since the discovery of wine, alcoholic beverages and drugs. A problem, which is increasingly identified as a Neuropsychiatric disorder, has led to negative impacts on the society as a whole. This fact remains true on a global scale, as developed and developing countries face the repercussions that come with it. According to the Addiction Center, 20.6 million people over the 12 years of age were reported as having an addiction problem. 2015 recorded an estimate of 24 million drug users on a monthly basis. Of the 24 million, approximately 30% of drug users in 2015 were reported to suffer from a drug addiction. Please note that these statistics reflect and focus on the American population. According to the Huffington Post, 2015 recorded an estimate of 230 million drug addicts on a global scale. However, America is said to have the largest drug problem as compared to other countries in the world. As prevalent as it is, the problem of drug addiction is effectively swept under the rug, as many are led to believe that the problem is under control. Nevertheless, drug addiction is a problem that remains unaddressed in the right way within the American continent. Before we continue, let us first start by defining the term addiction and everything that pertains to it. Drug addiction can be defined in numerous ways. However, it is basically a chronic disorder that is identified by the compulsive use of drug substances regardless of the consequences. Drug addicts often experience dependence on a certain type of drug substance and/or alcohol. Drug addiction is often referred to as a brain disorder, more specifically, a Neuropsychiatric disorder for a reason. This is because drug substances have the ability to affect chemical substances in the brain. 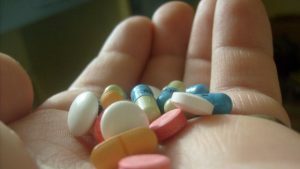 Evidence from the 1990s suggests that most drug substances tend to affect the numerous chemical neurotransmitters and the systems they regulate. One of the major chemical neurotransmitters that it affects is the hormone dopamine, as well as the Neural systems that the hormone regulates. So, what is dopamine exactly? Other than the fact that it is a chemical neurotransmitter, it accountable for sending signals from the Central Nervous System (CNS). This hormone is also known to improve and maintain your working memory. This is part of the reason drugs tend to affect the user’s ability to remember things adequately. Dopamine is also tied to your perception and experiences of pleasure. Once a person engages in a pleasurable activity, this hormone is then released heightening the experience. Hence, it is tied to our moods and has the ability to influence them. This is one of the reasons this hormone is often referred to as the Molecule of Happiness or the happy hormone. It tends to affect how happy we are and our level of satisfaction and enjoyment. Its ability to increase and heighten a pleasurable moment and increase its enjoyment is one of the leading causes of drug addiction. Drugs that are often stimulants often encourage the overproduction of the hormone. This then causes the user to experience a momentary high. The need to feel that sense of high or pleasure is what causes drug users to continually use the substance, regardless of the consequences. However, recent research suggests that dopamine, as well as other neurotransmitters such as serotonin and norepinephrine, contribute to depression. That being said, what are the commonly abused drugs? Moreover, which drugs are likely to lead to a downward spiral of destructive addiction? Let us take a look. According to a report by the Substance Abuse and Mental Health Services Administration (SAMSHA), Marijuana and Alcohol are the topmost abused drugs. Moreover, they are the top drugs that most people are addicted to. However, according to addictioncenter.com, Nicotine, otherwise known as Tobacco is the topmost abused drug in America, before alcohol and Marijuana. This is because they are easily accessible and cheap compared to other drug substances. A drug like Nicotine/ tobacco is actually legal in most states in America. Over 40 million American individuals are said to be using and dependent on Nicotine, as stated by addictioncenter.com. According to the Substance Abuse and Mental Health Services Administration (SAMSHA), at least 17.7 million American people were found to be dependent on alcohol in the year 2012. 4.3 people were found to be dependant on Marijuana, while 2.1 million and 1.1 million Americans were found to be addicted to both pain relievers and cocaine respectively. Below, are the topmost abused drugs within the American continent. Drugs have the ability to control the way you think, feel and act. Individuals that suffer from drug addiction barely have their lives together. Drug addiction not only affects the individual taking them, but the family and the society s a whole. Let us take a look at some of the effects of drug addiction. The effects of drug abuse on an individual depend on the type of drug in question, and the duration of abuse. Some of the effects of drug abuse can be treated, while others are long-term or permanent. In other words, some of the consequences of drug abuse are permanent, even after one seizing the use of the substance. Long-term use of alcohol and other harmful substances often leads to addiction. Once a person is addicted, or is dependent on a drug, they find it very hard to stop. They act on impulse and fully depend on the drug to function normally. Below, are some of the behavioral problems that often accompany drug use, whether short term or long term. If using drugs have such negative effects, then why do people use them? There are numerous reasons as to why people insist on using drugs and consuming alcohol despite the warnings. Let us take a look. In light of the consequences of drug use and abuse, it’s only natural to question why most people use drugs. • To experience pleasure or feel good: Some people use drugs as a means of escape or a means to forget. Instead of dealing with the problem or the negative emotion, they remedy the situation by taking stimulants that lead to intense pleasure. • Peer pressure: Some individuals, especially teenagers succumb to drug use due to peer pressure. In an effort to fit in with a crowd the engages in drug use, they use it too. • To reduce anxiety: Individuals that often suffer from high anxiety often turn to drugs as a remedy. Drugs, especially stimulants, create feelings of self- confidence and power. Substances such as opioids also create feelings of relaxation, therefore; reducing a person’s anxiety or stress levels significantly. • To perform better: Stimulants are known to increase energy levels in an individual, leading to an increase in performance. This is very common among sports enthusiasts or professionals. Moreover, teenagers also take drugs in an effort to improve their academic performance. There has been a long-winded debate on drug addiction. Why do some people develop a drug addiction problem after short-term use while others hardly get addicted? Below, we take a detailed look at this issue. Ever wondered how addiction comes about? Addiction is not a voluntary thing. However, the initial use of harmful substances such as alcohol is completely voluntary. As previously mentioned, some individuals often start using drugs due to curiosity, peer pressure and so forth. The longer the person uses a particular drug, the more he or she is likely to get addicted. Numerous studies have shown that long-term use of drugs, which are also referred to as chemical substances, leads to addiction. These chemical harmful substances change vital parts of the brain that are responsible for memory, decision making and behavior control. Hence, explaining the development of an addictive behavior towards said substances. Now, not everyone that uses drugs or consumes alcohol eventually gets addicted to it. So, what gives? Are there factors that determine whether or not a person is likely to get addicted to a drug? According to drugabuse.gov, there is no one factor that determines whether a person is more or less likely to develop an addiction to drugs. However, there are risk factors that can increase the likelihood of addiction. Below, are some of the risk factors. • The age on starts to use drugs: The earlier a person starts to use drugs, the more likely he or she will get addicted to drugs. Why is this? During the adolescent stage, the prefrontal cortex, a vital part of the brain is still developing. This part allows people to make sound decisions and exert self- control. If an adolescent decides to consume drugs during this stage, the proper development of the prefrontal cortex will be impacted. Hence, the teenager will not only develop an addiction but will also have trouble making sound decisions. The impact made to this part of the brain will more or less be permanent. • Injecting or smoking a drug increases the potential of getting addicted. This is because these two methods allow the drug to directly enter and affect the brain. Drug addiction, as we’ve already established, is a brain disorder. Like any disorder or disease, it can be effectively treated. However, it is better to have this problem treated sooner than later before it can cause any permanent damage to the user. If you are concerned a family member or your child, there are a couple of signs and symptoms to look out for. Below are some of the signs that are huge indicators of drug addiction. Now, from what we’ve seen above, drugs can have quite a tremendous effect on a person’s behavior, emotional state and physical appearance. However, it is important to note that typical drug users can be differentiated from drug addicts in a way. Drug addicts are more impulsive in terms of behavior and tend to engage in a negative or criminal behavior. Once a person becomes addicted to a harmful substance, their actions are often dictated by the need for the drug. 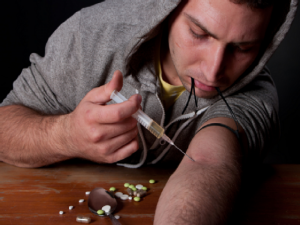 Let us take a look at some of the top ten bad habits that drug addicts tend to engage in. Drug addicts tend to lie as a way to cover up on their drug problem. Most drug addicts tend to pull disappearing acts or spend money haphazardly. If the affected individual is a loved one, it is really easy to believe what they tell you. If they’ve been doing this for years, it can be difficult to tell if they are lying or not. However, it is imperative that you try and discern everything that they tell you. If their stories do not add up or keep changing every time, then it is likely that he or she is lying to you. Drug addicts often operate under the influence of a drug or drugs. In a bid to experience a high or lessen the withdrawal symptoms, they end up using all the money they have. Over a period of time, they dig themselves into financial debt and sell everything they own just to buy drugs. After spending and selling off all they have, most, if not all drug addicts, tend to resort to criminal activity. From stealing from loved ones and strangers to shoplifting, drug addicts can engage numerous illegal activities just to access the drug. Keep in mind, that drug addicts rarely think about the consequences of their actions. Their entire focus on obtaining the substance they are addicted to. An addict can hardly function normally without the drug in question. To avoid experiencing withdrawal symptoms, the user often manipulates people to get what he or she wants. They often manipulate and ask for money under a false pretense. Drug addicts are often in denial over that fact that they are dependent on the drug to function. Instead, they’ll manipulate they try to manipulate loved ones into believing that they will or are currently getting help. Drug addicts make false promises that they never keep. Both emotional and physical abuse is a common trait among drug addicts. They tend to perceive everyone as a threat, hence; they can get defensive or abusive. This is because the drug influences their way of thinking and the ability to discern a situation. If a loved one is trying to help them, the drug addict instead interprets it in a negative way. This then results in abuse in a bid to protect himself/herself from a seemingly threatening situation. If the addict has a family, he or she is likely to physically or emotionally abuse the children or spouse. The drug addicts always blame others for his or her problems. The power of the drug steals the addict’s ability to make responsible decisions and judgements. Hence, they tend to shift the blame for every consequence that comes after a bad decision on somebody else. For instance, if he loses his job, he’ll blame a co-worker or the boss himself. If the money goes missing, he’ll blame everybody else and accuse them of theft. When in reality, he may have used it to purchase the drug. Drug addiction is characterized and identified as a brain disorder. Hence, it can be treated. However, the type and length of treatment are often dictated by the length of drug abuse and its effects. Some patients only require short-term treatment, while others require long-term treatment. It is important to keep in mind that drug addiction is not a one size fits all. No single treatment is effective and right for everyone. Once you’ve noted a few disturbing habits that most drug addicts exhibit, try and find treatment for them. The treatment that they receive will still be effective whether or not the patient comes involuntarily. Below, are a few things to note when it comes to drug addiction treatment. • Medications are often involved in the treatment such as methadone and naltrexone. • Detoxification is one of the stages that most patients undergo. This is where the doctor tries to eliminate as much of the drug substance out of the patient’s system as possible. • Checkups and screening processes are often administered before the treatment begins. This is because medical practitioners need to evaluate the mental state of the patient. For those that are suffering from mental disorders such as depression and anxiety can also be treated. By implementing the use of certain drugs such as Psychoactive medications, such disorders can be effectively treated and managed. • Behavioral counseling is a major part of the treatment program. Such counseling can involve either or both cognitive-behavioral therapy and contingency management. They tend to encourage participation in the program. 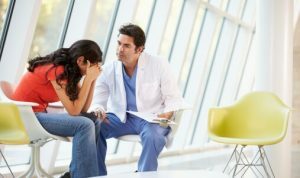 The medical counselors also teach the patient’s on how to avoid a relapse, how to stay away from drugs, how to cope with the addiction and manage cravings. • Group therapies are used to encourage and foster positive social interaction and open communication. Such therapies are also used to foster accountability and encourage abstinence from drug use. • Treatment programs also have the patients tested for any disease or illnesses such as HIV/AIDS. • Family and loved ones are encouraged to have the patient remain under treatment as long as possible. Refrain from pulling the patient halfway through the program. This will only render the treatment ineffective and increase the chances of a relapse. In conclusion, drug addiction can be treated. Keep a lookout for any physical or behavioral changes that your loved one may be exhibiting. If you are suspecting that a loved one may be using a drug or is already addicted, it is best that you seek treatment for them. The best thing you can do after is to provide your support. Remember, the duration of the treatment will vary depending on the drug, and length of use.